MLJA Choir Performs to Millions on TV for Children in Need! Our School Choir have been involved in a fantastic singing project which resulted in singing live on BBC1 as part of the Children’s Choir for Children in Need on Friday 16th November. Throughout this term, thirty enthusiastic Year 5 and Year 6 pupils have worked hard to learn the melody and harmony parts of the song, ‘A Million Dreams’. We then came together with four other Lincoln Primary schools to rehearse as ‘The Lincoln Children’s Choir’. This was extremely exciting as not only were there 140 children practising the song together, the rehearsal was also filmed and televised on BBC1’s Look North that evening! The week before Children in Need day, our Choir (helped by the Fundraising and Marketing School Ministries) organised and led a cake sale which raised £142.33 for the charity. 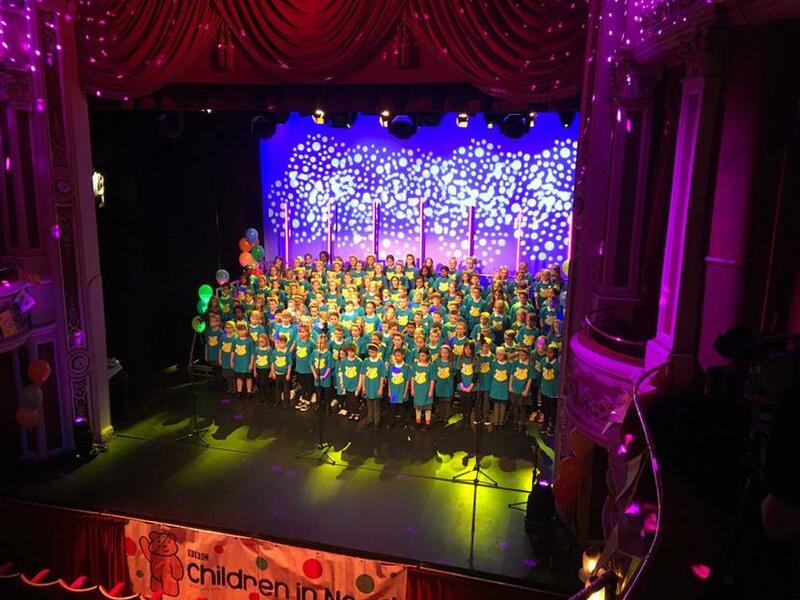 When the Children in Need day finally arrived, the Choir were extremely excited to join the other Lincoln Choirs at the Theatre Royal. 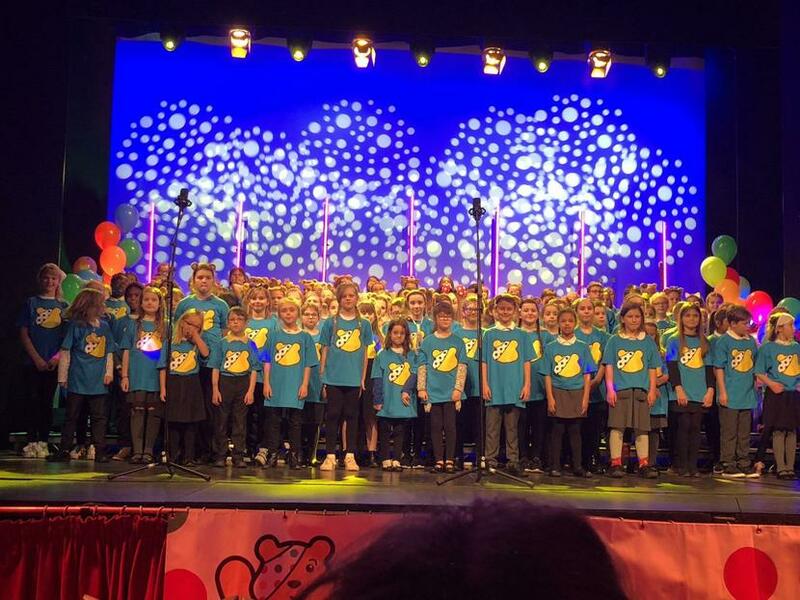 After taking part in the BBC sound checks and rehearsals, the Choir were televised singing live both nationally and locally on BBC1 as part of the Children in Need programme. All of the Choir members were absolutely fantastic and I am extremely proud of every one of them. I hope that the memories of this amazing event and the part they played in raising money for such a worthwhile charity, stays with everyone involved for a long time to come.